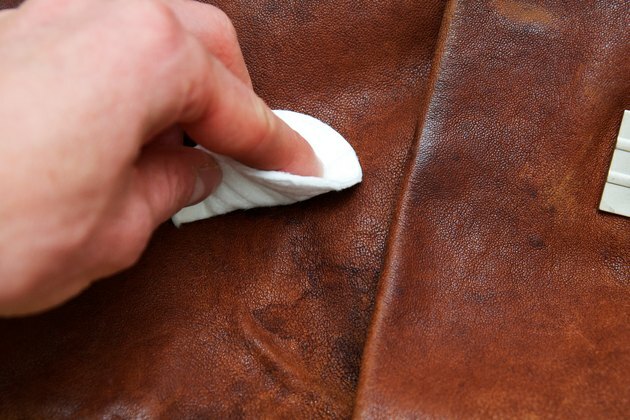 Whether from condensation from a glass on a leather couch, rain spots on a leather jacket or stepping in a puddle in leather shoes, removing water spots from leather is necessary to keep the leather looking nice. 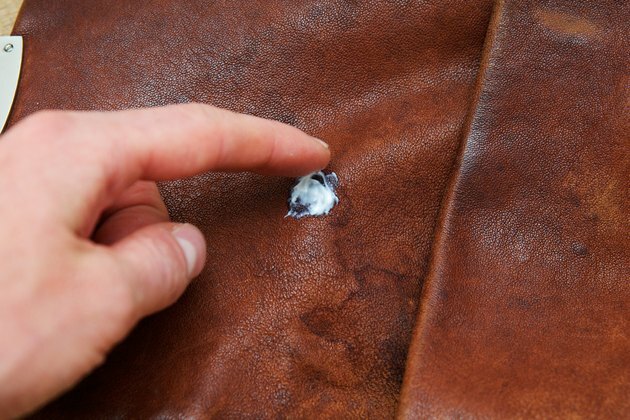 It is important to wipe water off of leather as soon as possible to prevent the water spots from forming in the first place; however, that is not always an option. Once the water has dried, you can still remove the water spots. Mix warm water and a few drops of mild dish soap in a bucket. Dip a sponge into the bucket and wring it out thoroughly. Wipe the water spot gently with the sponge. Avoid harsh rubbing, or you may damage the actual leather. This method is most often successful for mild water spots. 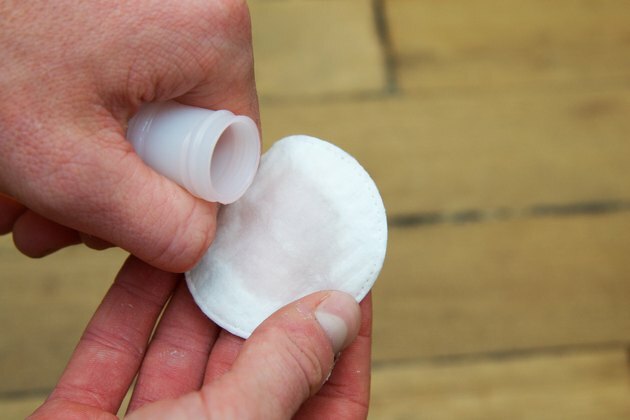 Apply some rubbing alcohol to a cotton ball. Rub the water spot gently with the cotton ball. Go over the spotted area with a damp rag. An alternative to rubbing alcohol is white vinegar. 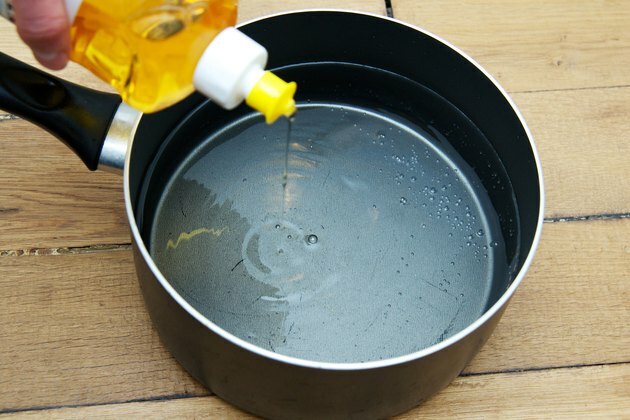 Mix equal parts vinegar and water into a bowl, and dampen a rag with the solution. Work the water spot gently with the vinegar solution until it disappears. Apply a moderate coating of mayonnaise directly to the water spot. Allow it to penetrate the spot for about three hours. If the water spot is really bad, you may want to let the mayonnaise sit overnight. Rub the mayonnaise into the spot with a soft cloth using a circular motion. Continue rubbing the spot until it is gone. 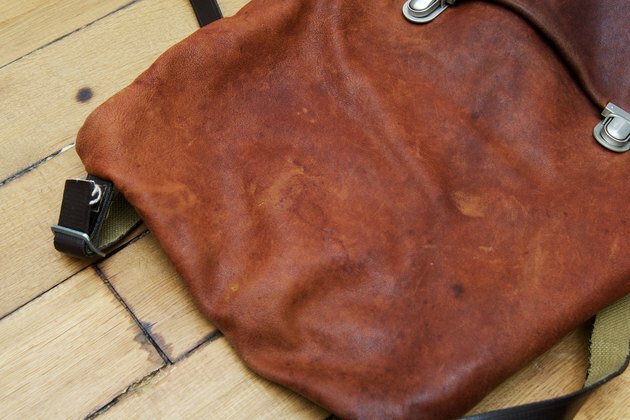 Wipe the leather clean with a damp rag, and dry thoroughly. 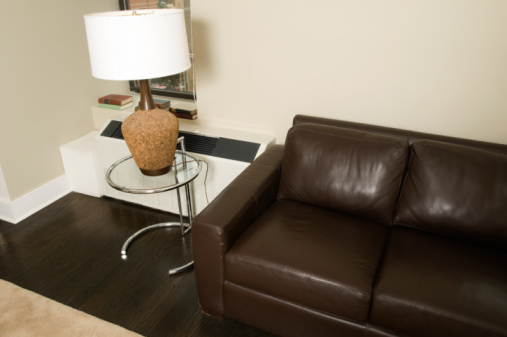 Use a commercial leather cleaner to remove the water spot if the above methods were unsuccessful. Follow the instructions on the product's label for proper application. 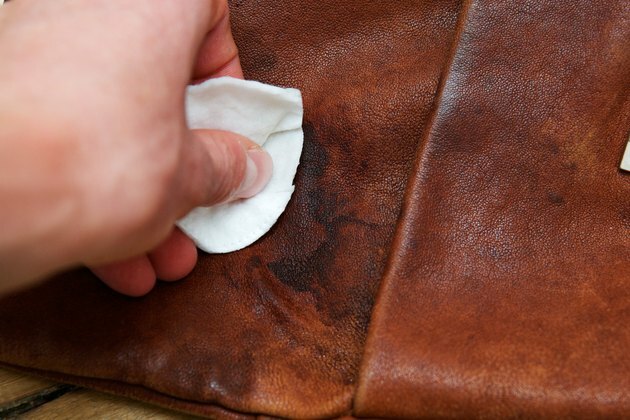 Apply a leather conditioner to the leather once the stain has been removed. Because water may dry out the natural oil in the leather, the conditioner helps to replenish the oil.